Bare's Basil Mint Citrus Mojito Popsicle combines some spring/summer flavors to make the perfect and refreshing organic and low calorie treat to cool you down and enjoy the warm weather (and you can easily leave out the alcohol to make a non-alcoholic version). Juice all of the citrus fruits. Combine all ingredients in a blender and blend until the leaves are chopped. 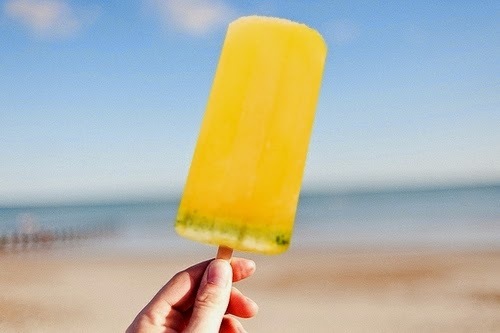 Pour liquid into popsicle molds and freeze until solid. This seem to be such a good refreshing recipe for the summer. I love the fresh herbs with the lemon mixture.